An initial tattoo is a permanent reminder of someone or something very dear to you. Nothing shows what someone means to your better than having a permanent marking of the initials of her or his name somewhere in your body. Instead of just having decorative body markings that mean nothing to you it is always a good idea to have something that will always remind you of the important things in life. And the good thing about initials is that they also make attractive body art, and they are not just the plain or dull letters that most people think. In fact, there is way much more to this genre of tattoos than just having a couple of letters inked on your body. It is not always easy to determine where different types of symbols came from because most of them evolved with various civilizations. Diverse cultures and societies have their distinct history of civilization, and so it is almost impossible to know when they started having body markings. However, it is right to say that this tattoo is as old as civilization itself because it is one of the first types that people had on their body before they discovered that they could have more complicated designs. Warriors and elders in most cultures had some form of initials in their body to indicate their status in the societies. Even in cultures that did not know how to read and write, you could still find some form of initials on their bodies. The modern form of this tattoo gets a lot of influence from celebrities and other public figures. However, one can trace its origins to the world wars in the 20th century. In this era of conflicts, most soldiers would have the initials of their spouses and or children inked on their body so that they would always remember them when they are away for a long time or as a reminder of the reason they are fighting. As the soldiers returned home after the wars, other people started copying this form of body marking, and their popularity has been growing since then. Now you can spot these fancy tattoos with many celebrities such as Victoria Beckham, who has the initials of her husband’s name inked on her wrist and Avril Lavigne, who has an initial of her former husband’s first name on her arm. The meaning of any tattoo will always depend on the wearer and the reason he or she has it. And so it is impossible to give any totem a universal meaning, but there are some familiar meanings that most people associate with certain tattoos. The most common meaning of an initial tattoo is that the person is very close to your heart, and so most people will have a couple of letters that represent the name of the individual. Although it is a partner in most cases some people will also have the initials of the names of their children, mother or their best friend. To state it simply this tattoo means that you love that person dearly or that he or she is the most important person in your life. Contrary to what most people think initial body markings do not necessarily have to represent the name of a person. In fact, many people have initials representing their hometown, state or even country. The letters may also represent a significant event for other people. Such tattoos hold various meanings such as pride in where you come from and so as mentioned earlier on these symbols can mean anything you want or even hold several meanings that only the wearer knows and understands. Letter tattoos like this one often vary according to the font and calligraphy that you choose to use. The options are endless when it comes to selecting a font for your initial tattoo. You only need to consult your artist on the various options available and which ones he or she knows how to draw best. Choosing the font or calligraphy is what you should spend most of your time doing, and this is more so if you want a special appearance or something specific that you have in mind. It also depends on the size that you want, but any good tattoo artist should be able to advise you on this. Apart from the font and calligraphy the types of this tattoo and its variations can also depend on the other images or symbols that you combine with the initials. For example, you can also draw a heart tattoo and then have the letters inked inside. Other types will also use Chinese calligraphy or Roman numerals to represent initials instead of sticking with the traditional Latin alphabets. The Chinese calligraphy is excellent because not everybody can be able to read them and so you will not feel very uncomfortable with the tattoo in case you are no longer with the person. Other types of this totem may include those with white ink that glows in black light and others that also include the infinity sight to show that your love will last forever. Where you choose to have, your tattoos will not only affect its beauty but can also have an effect on the meaning. The initial tattoo is very personal and so you can have it in any place that you think will be meaningful to you. However, just like with any other body marking there are some particular places where most people prefer to have it. The wrist is the most popular place to have this tattoo, and this explains why most celebrities like Ciara and Victoria Beckham have theirs here. Wrist tattoos are very visible, and so you can always see the name of that person every time you wish. Some people also prefer to have it behind the ear where very few people get to see it, and they can also conceal it easily with their hair. Kerry Katona has the initials “DJ” just behind her right ear while Carmen Electra has a ”K” on the rear side of her left ear and there are still many other celebrities with their tattoos in a similar location. 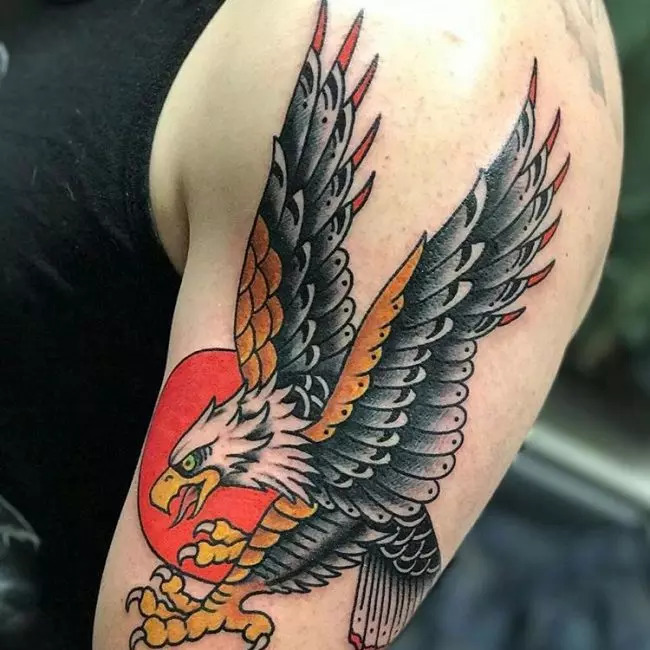 The other best places for this tattoo include the fingers, at the nape of the neck, lower and upper back, the chest to mean that the person is close to your heart and even on the ankle like Eliza Gonzalez. Any man or woman looking for a simple body marking but with a deep meaning should have the Initial Tattoo. It is a very simple design, and so you will not have to withstand a lot of pain, and most artists will only take a couple of minutes to draw it. And the good thing about it is that unlike an entire name it is easy to cover up in case things go south, or you get bored with it.